Nim Dorji, director general of Bhutan's Department of Agriculture, and Jackie Hughes, IRRI deputy director general for research. THIMPHU, Bhutan—The Royal Government of Bhutan and the International Rice Research Institute (IRRI) recently agreed to revive and strengthen their partnership in rice research and development. Both parties reinforced the partnership as Bhutan’s rice industry faces mounting challenges and emerging needs. This was the focus of the discussion between IRRI and Bhutan in a meeting on 11 July. The IRRI delegation was led by Jacqueline Hughes, deputy director general for research (at right in photo), and Uma Shankar Singh, IRRI representative for India and Nepal. Nim Dorji, director general of the Department of Agriculture (at left in photo), and his senior staff represented Bhutan. Bhutan had a long association with IRRI, from 1984 to 2000, and the country immensely benefited in terms of rice technologies and human resource development. IRRI and Bhutan agreed on some rice R&D programs and activities—from improving varieties to seed distribution—to advance the country’s rice sector, according to Hughes. “These planned activities will be in accordance with a memorandum of understanding that will be formally signed soon,” she said. The institute will also help improve the country’s rice varieties by transferring desired traits, such as high yield, disease resistance, and drought tolerance without sacrificing grain quality. “IRRI will facilitate the selection of parents and crossing them using both conventional and the latest molecular breeding techniques,” Hughes added. “The field evaluation and progeny selection will be done in Bhutan." Additionally, IRRI will support in enhancing Bhutan’s capacity to develop and breed better rice varieties by sharing new technologies such as marker assisted breeding and phenotyping. “This will help ensure the conservation and sustainable use of the country’s unique traditional germplasm,” Hughes pointed out. Mechanization and postharvest technologies are also part of the rice R&D agreement. IRRI will assist the country in solving its rural labor shortage and reduce postharvest losses from harvesting, threshing, grain drying, and storage. To ensure that seed of improved rice varieties are available to farmers, IRRI and Bhutan will work together in seed multiplication and distribution. IRRI will assist in strengthening both the formal and informal seed sectors. “A step closer in this direction is to help in the capacity development of extension workers and farmers in seed selection and breeder seed production for researchers,” said Singh. Aside from offering training courses on various topics, IRRI will encourage Bhutanese scientists to participate in relevant meetings, workshops, and conferences organized by the institute. Later this year, IRRI will invite Bhutan to participate in a regional meeting with countries who signed the regional seed cooperation agreement. That agreement between India, Bangladesh, and Nepal allows a rice variety that has been tested, approved, and released in one country to be released in other countries without undergoing further testing and evaluation, as long as they will be grown under similar agroclimatic conditions. LOS BAÑOS, Philippines—IBM and U.S. Peace Corps volunteers recently worked hand-in-hand with the International Rice Research Institute (IRRI) to further strengthen the institute’s effectiveness in securing global food security. Their recommendations for achieving the improvements were presented at the closing rites of IBM’s Corporate Service Corps (CSC) program at IRRI headquarters on 21 July. The 15 CSC volunteers from the U.S., Brazil, South Africa, Slovakia, Italy, Spain, Mexico, the Netherlands, and India arrived in June to collaborate with their counterparts at IRRI in developing blueprints for four different sectors. A parallel program was also conducted at the Southeast Asian Regional Center for Graduate Study and Research in Agriculture (SEARCA). The teams at IRRI presented strategic plans for transitioning the institute’s library resources into a virtual, fully digitized, and network-based facility; providing data storage and computing infrastructure to meet the institute's processing needs; developing a “one-stop shop” where IRRI staff members could update country dossiers using existing resources with minimal manual input; and transforming IRRI's Training Center into a world-class Rice Science Academy (IRRI RSA). CSC is IBM’s pro bono consulting program, which was created in 2008 to help solve some of the most challenging problems in communities around the world while providing top-performing IBM employees with unique leadership development. 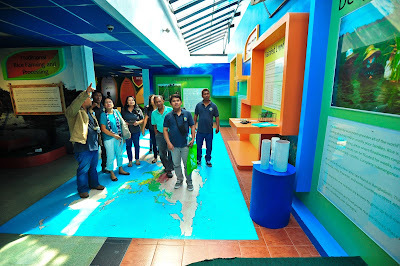 IBM’s CSC at IRRI and SEARCA was conducted in cooperation with the U.S. Peace Corps and PYXERA Global. LOS BAÑOS, Philippines—Twenty-two member-agencies of the Los Baños Science Community Foundation, Inc. (LBSCFI) are celebrating the 32nd anniversary of the organization this week at the headquarters of the Philippine Council for Agriculture, Aquatic, and Natural Resources Research and Development (PCAARRD). The LBSCFI week-long celebration runs through 29 July. "I congratulate LBSCFI on 32 years of successfully building a community that is prosperous, environmentally conscious, humane, and united,” said Reynaldo Ebora, acting executive director PCAARRD, during the opening ceremony. Dr. Carol Yorobe (photo), undersecretary of S&T Services at the Department of Science and Technology (DOST), congratulated the foundation on behalf of DOST Secretary Fortunato dela Peña. In his message, dela Peña emphasized the importance of an environment that is conducive for scientific discovery and investigation and in maintaining the process of innovation in our society. LBSCFI is one of three science communities organized by the National Science and Technology Authority (now DOST) to promote and encourage the sharing of knowledge among various scientific institutions. Yorobe noted that LBSCFI has grown from a membership of nine agencies when it started more than three decades ago, to today's 22 members, which includes the International Rice Research Institute (IRRI). Ms. Corinta Guerta, director for external relations at IRRI, joined other representatives of agencies in renewing their commitment to LBSCFI. LBSCFI is presenting exhibits, lecture series, a technoforum, and an open house that is showcasing innovations from various research institutes based within and outside the community. A special video, Looking back, was also presented during the opening ceremony. The foundation’s official website and institutional video were also launched during the opening ceremony. Additionally, the LBSCFI R&D Awards Committee selected the Philippine Rice Information System (PRISM) project of IRRI as this year's PARRFI Outstanding R&D Award in the Research Category. receives tungro-resistant rice seeds from Chris Croombes (second from right). LOS BAÑOS, Philippines, 14 July—Agriculture officials and technicians from the Southern Tagalog Region recently received seeds of tungro-resistant rice varieties (photo) developed at the world’s leading rice research center. The seeds were handed over during their visit to the the International Rice Research Institute (IRRI). The officials were from the Regional Crop Protection Center (RCPC IV-A) of the Department of Agriculture (DA) and field technicians represented Liliw and Magdalena municipalities in Laguna province. "I'm glad we can help local farmers and we look forward to a continuing partnership," said Chris Croombes, director of IRRI's Human Resources, who assisted with the seed distribution to the visitors. "One of the functions of the crop protection center is to diagnose problems affecting rice farmers," said Dr. Cecille Marie C. Manzanilla, RCPC chief. "During one of our visits to farmers, we saw that several of their fields were affected by what looked like rice tungro virus. So, we asked IRRI to confirm the virus's presence." Precy Esmejarada and Norberto Licong, agricultural technicians from Liliw and Magdalena, respectively, reported that the virus disease is a common problem in their towns. Rice tungro, a serious disease caused by viruses transmitted by green leafhoppers, induces leaf discoloration, stunts growth, reduces tiller numbers, and sometimes causes sterile or partly filled grains. Licong observed that farmers frequently exchange tungro-susceptible seeds with other farmers, a practice that could spread the rice tungro virus. Another observation is that farmers don't plant at the same time. This asynchronous planting can result in a steady food supply for the leafhoppers. "Asynchronous planting is a major factor because the leafhoppers prefer to eat younger plants," explained Dr. Gilda Jonson, a senior associate scientist at IRRI's Genetics and Biotechnology Division. "Leafhoppers tend to move to newer plants that are growing. But when the rice plants are uniformly planted in the field, this prevents leafhoppers from moving to neighboring fields.” Rice tungro disease is more common during the wet season because insect populations tend to increase when there is a continuous food source. Although asynchronous planting contributes to the problem, farmers continue to practice it. "Farmers in Liliw and Magdalena always plant rice ahead of farmers in other towns because their areas are nearer to the irrigation source," Jonson explained. “If our farmers plant late, the other farmers at the end of the irrigation line will be affected," added Licong. “One helpful practice to fight the disease is to plant tungro-resistant rice varieties," says Jonson, "and there are several to choose from." The seeds of tungro-resistant rice varieties that were distributed to the visitors by IRRI included Matatag 2 and 9; NSIC Rc 110, 112, 118, 140, 222, and 238; Japonica 2; and Maligaya special 11. Several of these recommended varieties were developed by IRRI’s Plant Breeding Division and were disseminated through the NextGen project, one of the seven components of the Food Staples Sufficiency Program of the DA and IRRI. Maligaya special 11 and Japonica 2 were developed through the Germplasm Utilization Value Added (GUVA) project of Korea's Rural Development Administration and IRRI. PHNOM PENH, Cambodia—The initial impact of farmer adoption of new climate-smart rice varieties (photo) and technologies will be reviewed by state officials and other stakeholders on 28-29 July. Around 80 participants are expected to attend the first annual review and planning of the project, Accelerating the Adoption of Stress-tolerant Rice Varieties by Smallholder Farmers in Nepal and Cambodia (ASTV). The two-day review will take place after the commemoration of the 30-year partnership between Cambodia and the International Rice Research Institute (IRRI) on 27 July. That celebration, attracting both Cambodian and IRRI officials including Deputy Prime Minister Yim Chhay Ly and IRRI Director General Matthew Morell, will feature exhibits highlighting the milestones of the enduring partnership. During the celebration, a historic Host Country Agreement between Cambodia and IRRI will be signed followed by the Southeast Asia Regional Consultation Workshop on IRRI's 10-Year Strategic Plan. Attending the ASTV project review on the following two days will be Secretary of State Ty Sokhun, Ministry of Agriculture, Forestry, and Fisheries (MAFF); and So Khan Rithykun, director general, General Directorate of Agriculture (GDA). Top officials from MAFF, GDA, the Cambodian Agricultural Research and Development Institute, directors and representatives from the Provincial Department of Agriculture, seed companies, and development agencies will also take part in the review. ASTV seeks to reduce poverty and hunger and increase food security and income of poor farm households in its target countries by introducing high-yielding, climate-resilient varieties and technologies and strengthening local research and delivery systems. Funded by the United States Agency for International Development (USAID), the project is part of the Feed the Future Program, a Global Hunger and Food Security Initiative of the U.S. Government. LOS BAÑOS, Laguna—The Society of Non-research Professionals (SINoP) at the international Rice Research Institute (IRRI) held two succeeding activities within a week to help respond to the needs of a community on the slopes of Mt. Makiling and provide its members with financial literacy training. Mt. Makiling is a dormant volcano near IRRI's headquarters in Laguna province on Luzon island in the Philippines. On 2 July, SINoP members and alumni (photo), together with members of the Philippine Institute of Certified Public Accountants (IRRI-UPLB Chapter) trekked to Bagong Silang Elementary School—the organization’s adopted school—at the foot of Mt. Makiling to donate books and school supplies.The items were purchased using proceeds from its Back-to-School fundraising sale held in May and donations from SINoP members and friends. The event was also the dedication of the Eva Corazon P. Reyes Library, in memory of SINoP’s former president. While SINoP is proud to reach out to the people in IRRI’s host communities, it also recognizes the needs of its members and provides seminars at the institute’s headquarters. On 7 July, SINoP held Investment 101: Personal Finance, a seminar on the basics of investing and the available options that suit their respective investment personalities. The seminar was facilitated by Ms. Janine Kyra Rivera, an associate investment counselor from the BPI Asset Management and Trust Group. Investment 101: Personal Finance was the first in a series of seminars lined up for SINoP members for the year. LOS BAÑOS, Philippines, 8 July—Agriculture experts recently held a workshop at the International Rice Research Institute (IRRI) to finalize the Filipino version of Rice Doctor, a mobile app that helps identify and manage rice crop problems. It is an interactive mobile app that uses text and images to help extension workers, farmers, researchers, and students diagnose more than 80 pests, diseases, and other disorders affecting rice. Up to now, Rice Doctor has been only available in English. Specialists from the Philippine Rice Research Institute (PhilRice) and development communication students from the University of the Philippines joined the Rice Doctor Development Team (photo). They reviewed, edited, and finalized the Filipino translation of the brief descriptions of the signs, symptoms, and management options. This activity is the second part of the Filipino translation workshop conducted through the project, Improving Technology Promotion and Delivery through Capability Enhancement of Next-Gen Rice Extension Professionals and Other Intermediaries, under the Food Staples Sufficiency Program. The first part, which was held last year, focused on the terms and the translation of the diagnostic questions. The Filipino version of Rice Doctor, which will be available later this year, is the first effort to translate and localize the diagnostic tool for country-specific crop problems. Similar efforts are also being done in Bangladesh and India. 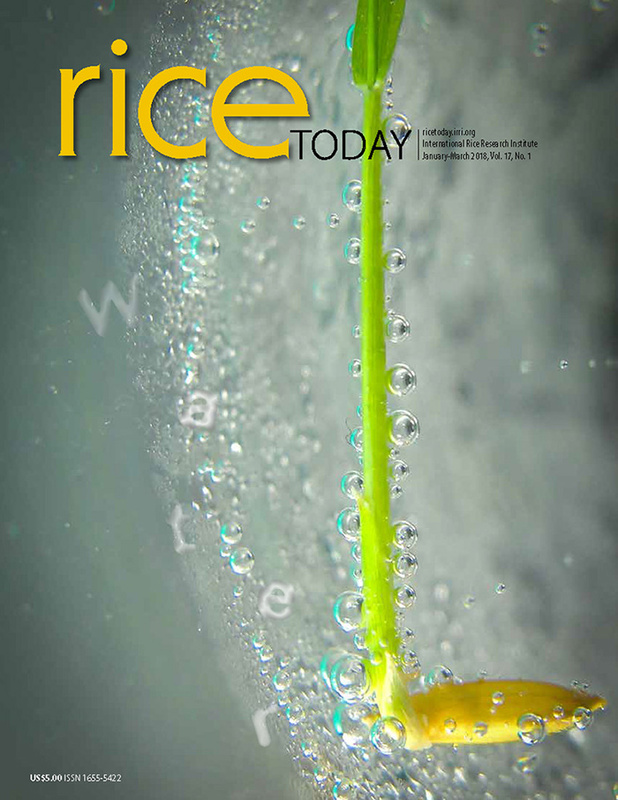 Rice Doctor was first developed by IRRI, PhilRice, the Indonesian Research Institute for Rice, and the Lucid team at the University of Queensland in Australia. The English version is available for download at the Google Play and App Store for free. For more information, please email rkb@irri.org. climate-smart rice from Dr, Tolentino (left) during his visit. LOS BAÑOS, Laguna, Philippines—True to his mission of making food available and affordable to all Filipinos, as well as improve the lives of farmers—especially in challenging upland areas—Emmanuel Piñol, new secretary of the Philippine Department of Agriculture (DA), visited the International Rice Research Institute (IRRI) on 6 July. Piñol was most concerned in ensuring that the advances in rice production achieved through IRRI’s research reach farmers "so we can focus on food production and poverty alleviation,” referring to the pronouncements of Philippine President Rodrigo Duterte. "This is the main thrust of the Duterte Administration's agriculture program." Piñol received an overview of IRRI and its existing collaborative projects with the DA and the Philippine Rice Research Institute (PhilRice) from IRRI Deputy Directors General V. Bruce J. Tolentino and Jackie Hughes. Also briefing the DA team were Donna Casimero, Michele Weldon, Sarah Beebout, Roland Buresh, Alice Laborte, Rowena Castillo, and Mary Jean Du. The Food Staples Sufficiency Program (FSSP), which was launched in 2011, includes seven components: the Philippine Rice Information System (PRISM), a web-based tool called Rice Crop Manager (RCM), better extension service through the Project IPaD, development of new varieties in the NextGen project, diffusion of associated technologies in rainfed areas, benchmarking of the Philippine rice economy, and preservation and promotion of heirloom rice varieties in the Cordilleras and in the uplands of Alamada and Banisilan in Arakan Valley of North Cotabato. Recognizing the threats of La Niña and the recent El Niño, Piñol also stressed the importance of establishing food centers in critical areas of the country with enough supplies to last at least 6 months. In the ongoing FSSP partnership, IRRI works with DA regional field offices and local government units in the Cordilleras and Region XII to help upland farmers not only conserve traditional rice varieties but also connect them with high-value markets such as restaurants that operate locally and abroad. 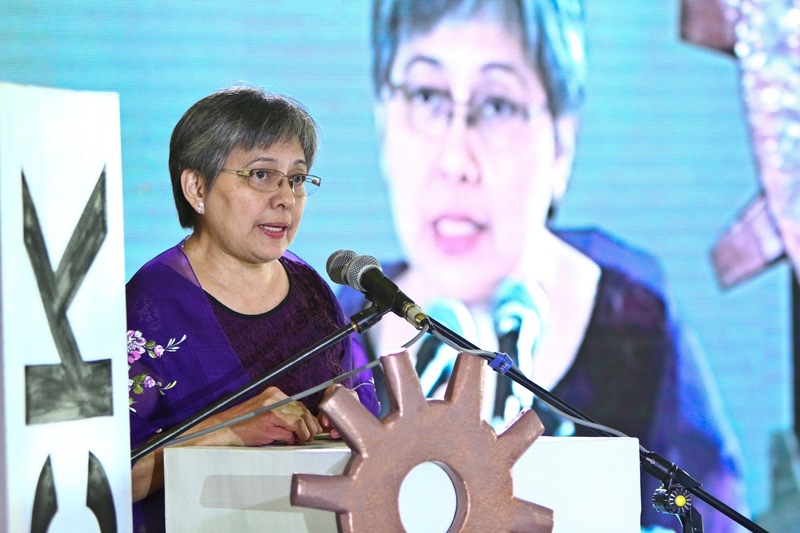 "The Heirloom Rice Project (HRP) not only helps preserve and promote Filipino cultural identity, but it also aims to improve the quality of life of Filipino farmers economically and socially," said Dr. Nollie Vera Cruz, project leader. Engr. Martin Gummert, head of the postharvest unit at IRRI, shared several postharvest technologies with the Secretary during his visit. These included the Superbag, a durable plastic bag designed to keep grains dry and safe from moisture, as well as insects, rats, and molds. He also demonstrated the solar bubble dryer (SBD) that dries grains inside a plastic dome to protect them from rain. The SBD can dry grains to a moisture level of 10–13%, depending on the weather conditions—dry or wet. It can also run on solar power, when needed. Other technologies that were showcased included a transplanter, drum seeder for sowing pregerminated rice, combine harvester, among others. "Building irrigation projects starting now will take us 15 years to complete," he said. "Because our population is growing at 1.9% per annum and our irrigation program only adds about 50,00–60,000 hectares a year, that's not going work." Piñol noted that the country squanders many of its resources, the most important of which is water. "We are a country with six months of rain, typhoons, and flooding. Then there are three months of dry spell when we cry for water," he said. "We really need somebody to help us come up with a good plan to conserve water. We need a program on how to preserve La Niña water for the coming season." Dr. Gina Vergara, who leads the NextGen project, discussed varieties that can withstand stresses brought about by climate change such as drought, flooding, and salinity. The DA Secretary asked if these varieties were already available. She reported that two flood-tolerant varieties developed by IRRI have been released by the National Seed Industry Council but breeding materials for stagnant flooding are still being evaluated in field trials. 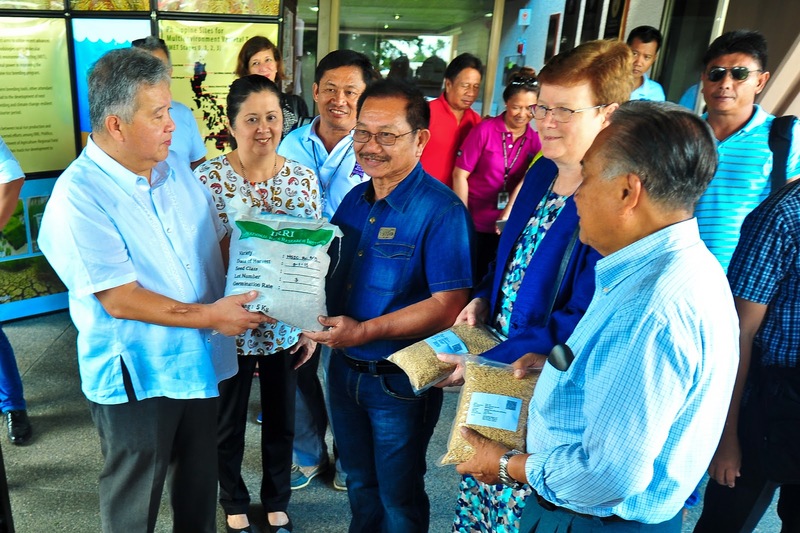 Piñol also toured the International Rice Genebank (IRG), where he asked if it would be possible to obtain seeds of Dinorado, Azucena, and other traditional varieties for seed production. IRG manager Flor de Guzman replied that the seeds are available to anyone upon request and are free of charge. Currently, the IRG holds about 7,800 accessions of Philippine rice varieties, about 40% of them being IRRI-developed. In addition to the IRG and a briefing of the PRISM and RCM projects under the FSSP, Piñol also toured the Long-Term Continuous Cropping Experiment (LTCCE), where the institute has been able to sustainably cultivate three rice crops annually for nearly 55 years. Keen on getting technologies into the hands of farmers, Sec. Piñol stressed how he wanted to expand the current program for agricultural extension workers in the country. Director Edmund Sana of the DA National Rice Program agreed with the secretary that any technology is useless when it is not in farmer's hands. Sana explained that the agricultural extension workers in Project IPaD are not only being trained exclusively on the technology of rice production. "The first module involves values transformation. The second one is on enterprise development because extension workers need to look at farming as an enterprise. We don't just recommend that farmers plant rice from A to Z, but they also have to make money while doing it." Dr. Tolentino explained that IRRI, as a research agency, is mandated to come up with ideas and to test or validate them. However, it cannot directly bring technologies to farmers because its mission is global. In addition to officials from the DA and PhilRice, Piñol’s party also included officials from National Irrigation Administration, the Department of Interior and Local Government, among others. The workshop focused on working with partners in developing and carrying out standard protocols and research activities in order to develop and evaluate suitable microbial formulations that will further enhance drought tolerance of rice varieties. The experiments were designed to understand the effect of various Trichoderma isolates on drought responses of rice. The activity is a component of the project, Improved Crop Management and Strengthened Seed Supply System for Drought-prone Rainfed Lowlands in South Asia, funded by the European Commission-International Fund for Agricultural Development. Six participants (photo) from state agricultural universities and institutes under the Indian Council of Agricultural Research attended the workshop. These included Dr. Rashmi Aggarwal, head, and Dr. Bishnu Maya, senior scientist, IARI's Plant Pathology Division; Dr. Arup Mukharjee, senior scientist, plant pathology, National Rice Research Institute (NRRI); Dr. Anil Kotasthane, professor, plant pathology and biotechnology, Indira Gandhi Krishi Vishwa Vidyalaya University; Dr. J.P. Singh, associate professor, agronomy, and Ms. Shyama Kumari, SRF, both from Rajendra Agricultural University. The meeting was coordinated by Dr. Najam Waris Zaidi, project scientist at IRRI-India, and chaired by Dr. U.S. Singh, South Asia coordinator for the Stress-Tolerant Rice for Africa and South Asia project. LOS BAÑOS, Laguna--The Young Researchers' Lunch for July hosted Dr. Roland Buresh (seated at center in photo), the IRRI soil scientist who spearheaded the Nutrient Manager and Rice Crop Manager platforms and who will soon be retiring after more than 20 years with the institute. Buresh shared the story of his career path, which started with a PhD on submerged marine soils and led to opportunities to work on fertilizer use in submerged rice soils. He encouraged the young researchers to publish their work and to hone their writing skills to be able to highlight their research concisely. Regarding his decision to shift his focus to more applied work on Rice Crop Manager, Buresh commented that this was more a late-career move that he was able to pursue only after his years of research in the discipline. Buresh also attributed part of Rice Crop Manager's success to empowering national scientists with the governments of their own countries. Lunch participants were Jeny Raviz, Emma Quicho, Carlo Leo U. Cabral, Carlito Balingbing, Xiaoqian Wang, and Jun Correa. At the end of the lunch, the group was joined by Buresh's research staff who serenaded him in celebration of his 65th birthday. The Young Researchers Lunch is a monthly meeting for national recruited staff and scientists in the Association of Fellows, Scholars, Trainees, and Residents (AFSTRI) who are in the early stages of their career. It provides an opportunity for discussions with senior scientists on a range of topics including science and career paths. LOS BAÑOS, Laguna—The IRRI Filipino Scientists Association Inc. (IFSA) hosted a Fun Run event on 24 June. Proceeds went to the IFSA Scholarship and General Welfare Fund. To add more excitement and generate more funds, this year’s theme was Outrun the Boss. Globally recruited staff were invited to participate in the race and to serve as sponsors for Bosses to Beat. Ten bosses, including Director General Matthew Morell and scientists David Johnson and George Kotch, joined the 5-km category while three bosses participated in the 3-km category. Each boss donated Php100.00 to the scholarship fund for every IRRI staff member who crossed the finish line ahead of him/her. Around 90 runners, both IFSAn and non-IFSAn, participated in the event, with 30 finishing ahead of the bosses. The “outrunners” earned bragging rights and mugs bearing I Beat the Boss signed by the sponsors. "We hope that the proceeds from the Fun Run will be enough to support at least a year's allowance for scholars under the IFSA Scholarship Fund," said Maria Ymber Reveche, a geneticist at IRRI and IFSA member. The IFSA Scholarship has provided grants for the children of IRRI staff since 1974. The IFSA General Welfare Fund will be used to finance upcoming projects for its year-long 50th Anniversary celebration. JEONJU, Korea— Eighteen agriculture experts from 10 Asian countries attended the annual workshop on the effective transfer of rice production technologies from sources to target users, 19 June to 2 July. The first of its kind in Asia when initially held in 2002, the 14th annual Rice Technology Transfer System (RTTS) workshop showcased South Korea’s latest rice technology systems and agricultural linkages. The workshop shared rice farming knowledge that the participating Asian countries could use. The RTTS participants were scientific officers, technical officers, researchers, public officials, extension workers, instructors, and agricultural research officers. It was conducted in collaboration between the Training Center of the International Rice Research Institute (IRRI) and the International Technology Cooperation Center of Korea's Rural Development Administration (RDA). For the last 14 years, RDA and IRRI have been training farmers and extension workers for farm technologies to be transferred from the source to the end users. Since 2002. 130 practitioners from 17 Asian countries have attended the two-week course. Trainees have been exposed to contemporary rice technology issues and have developed their capacity to critically analyze the components of successful research-extension linkages. With courses conducted in Korea, trainees have had the opportunity to observe first-hand and apply what they have learned directly in their respective countries. Resource persons for this year’s workshop were Maria Socorro S. Arboleda, senior training specialist at the IRRI Training Center, and Poornima Ravi Shankar, senior specialist at IRRI's Knowledge Management and Outreach Impact Acceleration Unit. LOS BAÑOS, Philippines—Officials of the Philippine Department of Agriculture (DA) in Naga City and City Councilor Cecilia De Asis visited the International Rice Research Institute (IRRI) on 16 June to learn about modern and traditional farming technologies. A progressive city known for its agricultural roots and hardworking people, Naga City bagged the Agri-Pinoy Rice Achievers Award in 2015. The award recognized the hard work and support of farmers, agricultural technicians, and local farm leaders in increasing productivity and income of rice farmers. During their visit, the guests were given seeds of IRRI-developed rice varieties and toured the Riceworld Museum. "You won't see many of these traditional implements even in the most remote villages anymore,” observed Maria Edna Bongalonta, officer-in-charge of Naga’s Agriculture Office. “Farmers are likely to dispose of them when they are no longer used. It's good that you were able to collect and preserve these artifacts for the younger generation.